Australia is well-known as the ‘Kangaroo Nation’ throughout the globe. It is a beautiful country with multicultural environment, a stable economy and widespread flora and fauna. The natural landscapes and panoramic beaches of Australia attract hordes of immigrants to Australia every year. The opportunities offered by this country in terms of study and employment makes it a destination where any individual would like to settle down. You can immigrate to Australia to study in one of the world’s best education institutions or have better chances of employment or to just visit this country. If you wish to migrate to Australia for work, you have to first obtain Australian work visas in order to settle and work there. Enlisted below are ways on how you can obtain an Australian visa. 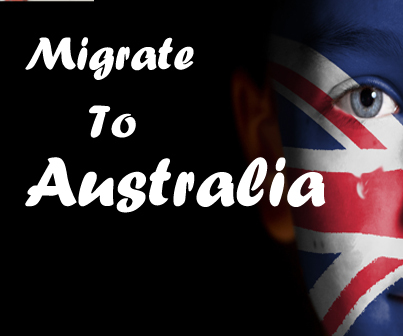 This is the major way for Australia Immigration. This is based upon points under various categories and is given to individuals who do not have sponsorship from employer, state or territory and family. You can live and work permanently anywhere in Australia with this visa and can include your dependent family members as well. It is permanent in nature. This is again a points-based visa which is handed to people nominated by an Australian state or territory. It allows a person to live and work anywhere in the country and eligible family members can be included under this visa category. For this visa, one must first submit an EOI through SkillSelect after which an invitation to apply will be sent. You must apply for this visa for Australia Immigration within 60 days of receiving the invitation. All other factors related to age, English competency and the score on the points test remain the same as in the Australia Skilled Independent visa. A points-based visa which allows you to be nominated by an Australian state or territory or by a family member who is already living there, this holds validity for a period of four years. You can live and work in a specified Australian region during this period. Without much delay, apply an Australian visa today which allows you to settle and work in Australia!